Therefore, CNG vehicles are particularly suitable for tasks in cities and usage in the early morning or late in the evening, for which there are particular noise restrictions. CNG trucks can be used for food and coolant transportation in the distribution segment, parcel services and as retail delivery trucks. The use of municipal vehicles for waste collection is typical in the industry. As a manufacturer of CNG vehicles, MAN can build on more than 40 years of experience and has sold more than 8000 natural gas buses, chassis and natural gas engines for energy generation in this time. 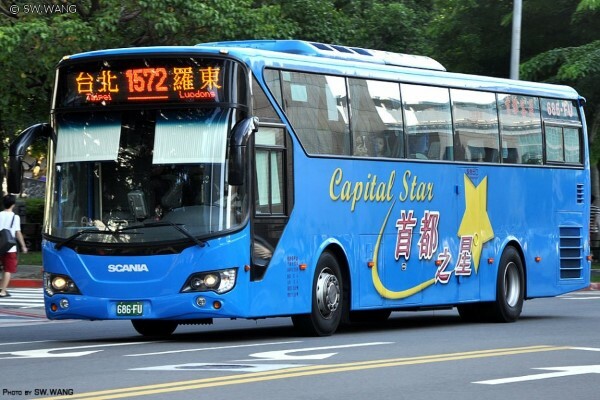 The innovative five-door articulated city bus Lion’s City GL CNG is ‘Bus of the Year 2015′. 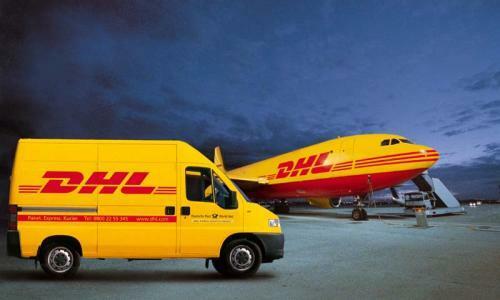 DHL Freight has expanded its Eurapid service across Europe with nine new terminals joining the network in November. The day-definite service for less-than-truckload (LTL) shipments up to 2.5 tons is now available at 50 terminals in 17 countries and covers 80 percent of all business addresses in Europe. The high quality road freight network of DHL is expanded by one station each in France, Great Britain, Italy, Hungary, Poland, Spain and Slovakia. Additionally, two stations in Portugal (Lisbon, Porto) have been integrated into the network. The company is looking to enroll the remaining terminals by the end of 2015, based on market and demand. Eurapid shipments are treated with priority and offer highly competitive lead times for customers. A dedicated customer service team handles inquiries and also constantly monitors on-time delivery. The Eurapid service provides same-day pick-up for shipments booked before 12pm. Same-day delivery information and standard end-to-end lead time reports are included in the service as well. Mitsubishi Fuso and UD Trucks Corporation have announced that they have jointly developed a new truck for sale in Japan. 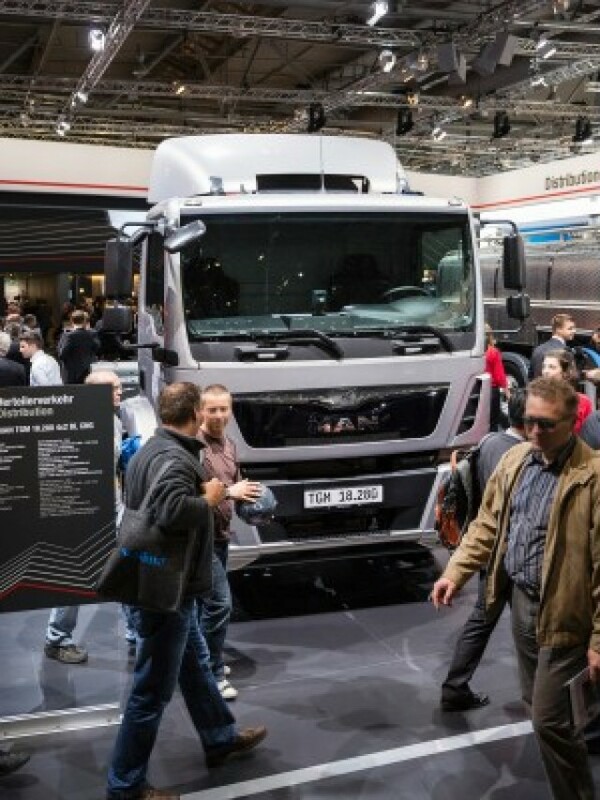 Although no information on the truck was disclosed, we can expect the new model to be a light duty truck as Mitsubishi Fuso is currently supplying light-duty truck platforms to UD Trucks. is said that the companies aim to pull in new customers and offer a range uniquely required for more transportation efficiency but in the most economical way possible. We can expect further details including the start of sales to be disclosed by each company separately. 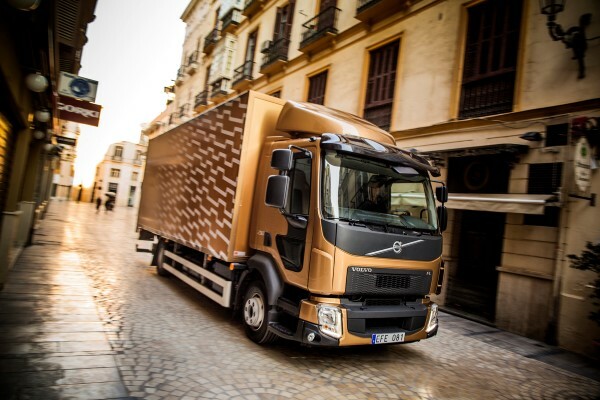 The Volvo FL, Volvo Trucks’ specialist in city distribution, is about to become even more productive. The compact 5-litre engine for Euro 6 is offered to the 14 and 16 tonne variants and releases 200 kg extra payload. Additionally, Volvo Trucks’ fleet management system Dynafleet can now be ordered directly from the factory. “We want even more people to discover the capabilities of Volvo FL. The new combination with lighter driveline and high load capacity is particularly suitable for those who have high demands on productivity and are looking for a cost effective transport solution,” says Pernilla Sustovic, segment manager for distribution at Volvo Trucks. Volvo’s four-cylinder, five-litre Euro 6 engine is available as 240hp / 900Nm and 210hp / 800Nm. 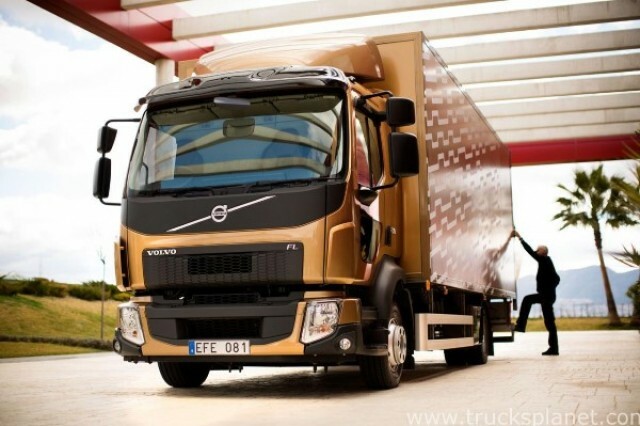 Both engines will be offered to a wider group of Volvo FL customers, including 14 and 16 tonnes. As the engine and gearbox together weigh 200 kg less than the six-cylinder Euro-6 option, the opportunity for corresponding extra payload is created. “The five-litre motor may be a suitable option for those who would not normally use the maximum gross combination weight but at the same time value the flexibility of being able to drive with heavier loads if required,” says Pernilla Sustovic. The whole Volvo Trucks’ product range – including the Volvo FL and Volvo FE – can now be ordered with the fleet management system Dynafleet included, directly from the factory. Using this service, clients can monitor operations in real-time via a web interface or an app and get valuable information that can help increase efficiency. Dynafleet contains services for driver times, positioning, fuel efficiency and environmental information, and is payable via a monthly subscription. With the recent purchase of 200 Scania luxury coaches by Boshen bus bodybuilder in Taiwan, the Swedish manufacturer has further strengthened its top position in the Taiwanese coach market. “This year, 2014, marks a record since Scania entered the Taiwanese bus and coach market in 1982,” says Managing Director Per Lilljequist, Scania Taiwan. The coaches, with 400 hp Euro 5 engines, normally seat 45 passengers. Scania’s Euro 5 coaches were introduced in Taiwan in 2013 and have since become the best-selling buses in the high-end coach and intercity market in Taiwan. Nearly 500 coaches have put on roads over the past 18 months. In an effort to “redefine” motorsports, Lotus F1 team did something that pretty much took the whole world by storm. 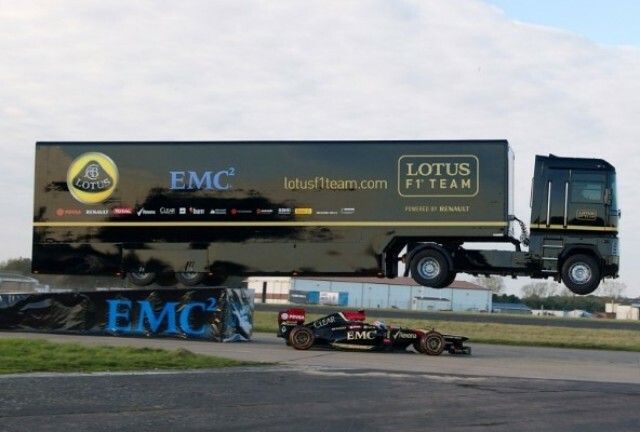 The team got their Renault tractor-trailer to actually jump over a moving Lotus Formula 1 car, setting the record for the longest jump by a truck. Both vehicles were driven by professionals with experience as stunt drivers in various Bond, Bourne, and Fast and Furious movies. Mike Ryan, a drifter and Pikes Peak racer, designed the stunt and is the wheelman in the truck while Martin Ivanov drove the Formula. It is said that the truck flew 26.7 meters, landing straight in the Guinness World Record book. 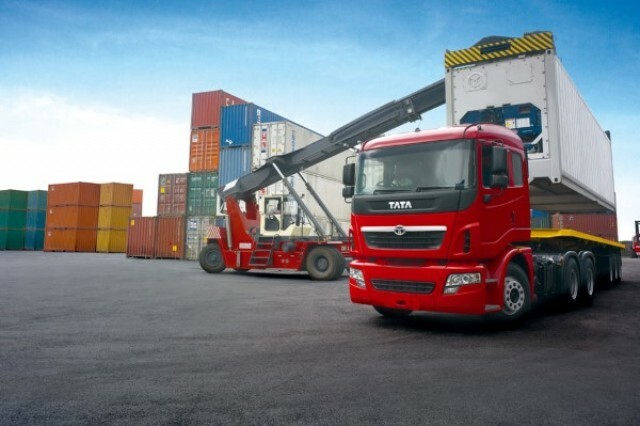 Tata Motors celebrated 60 years of truck manufacturing at its first manufacturing and engineering facility in Jamshedpur, India. Set up in 1945, Tata Motors Jamshedpur started with manufacturing steam locomotives, later foraying into truck manufacturing, bringing global trucking technology to India in 1954. Since then, Tata Motors’ Jamshedpur plant has been modernised consistently, with a particularly intense scale in the last 10 years, equipped with state-of-the-art equipment and assembly lines to produce a truck every five minutes. The facility assembles over 200 Tata Motors Medium and Heavy Commercial (M&HCV) models, for varied movement of equipment, raw materials, goods and services, across distances, catering to millions of Indians every day. Jamshedpur also houses engineering centres to conduct truck testing for operatability in various climatic conditions and varied surfaces, including dense urban centres, all of which operate under distinct set of rules and regulations, governing commercial vehicles operations. The facility rolled out its Two-millionth commercial vehicle, in 2013. As a development and manufacturing hub for Tata Motors M&HCVs, Tata Motors’ Jamshedpur’s engineering research centre is capable of carrying out complex vehicle design and integration of Tata Motors current and future trucks, also developing complex intelligent electronic control systems of next-generation trucks, cabins, multi-axle trucks, tractor-trailers and tippers and special application vehicles (like mixers and tankers), for both civilian and defence customers. The facility is also capable of manufacturing trucks compliant right up to EURO VI or BS VI (BHARAT STAGE VI), emission standards. Tata Motors Jamshedpur also conducts driver training programs that impart knowledge of truck operations, for better road safety and overall vehicle performance. 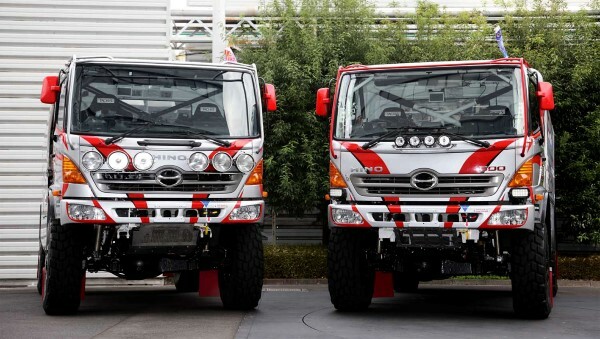 Hino Motors will be teaming up with Team Sugawara, led by Yoshimasa Sugawara, to enter two 500 Series trucks in the Trucks category of Dakar Rally 2015 as HINO TEAM SUGAWARA. The rally is scheduled to start on January 3rd, 2015, in Buenos Aires, Argentina. In response to what has become an increasingly speed-oriented race, the team has been phasing in power upgrades by increasing the displacement of its trucks’ engines. In the 2014 rally, the team achieved good results by mounting Car 1 with an A09C engine, an engine with 1 liter greater displacement than the J08C engines used in the past. Car 2 will also be powered by this engine for the 2015 rally, as well as receiving upgrades to its exhaust system to realize further power enhancements. Both trucks have also received front and rear suspension upgrades to improve road surface tracking performance as the team aims to improve the trucks’ speed over rough surfaces. The team will also be taking steps to improve its team capabilities. First, an additional navigator will be assigned to Car 1, driven by Yoshimasa Sugawara. The total of two navigators is expected to reduce the crew’s workload and improve racing performance. Second, with mechanics playing a critical supporting role in the race, the number of mechanics chosen from among Hino dealers nationwide has also been increased by one. This year one mechanic has been chosen from each of Hakodate Hino Motor, Tokyo Hino Motor, Yokohama Hino Motor and Hiroshima Hino Motor. Additionally, one mechanic from Hino’s Vehicle Planning & Production Engineering Division and an engineer from the Engine Engineering Division will be joining the team—both returnees from the previous year—as part of the team’s strategy for improving its overall capabilities by drawing in as many rally veterans as possible. Through these efforts, the team aims to win its sixth straight championship in the Under 10-litre Class, and finish with a high ranking in the overall Trucks category. By continuing to race in the world’s top rally, Hino hopes to share in the excitement of motor sport fans around the world, and build a stronger Hino brand overall. GKN Land Systems is ramping up production of a new hybrid technology for buses that will enable operators to save fuel, reduce fares and make some routes more viable. Demand for the company’s Gyrodrive electric flywheel hybrid is growing following successful trials in London and the start of UK production. The Gyrodrive system is a lower cost alternative to conventional battery hybrids. The upfront investment is a fraction of the cost of existing hybrids. With real-world fuel savings of up to 25%, the payback period for bus operators is three to four years. The system is smaller than conventional battery or super-capacitor hybrid units, which means it does not compromise seating or passenger capacity and can be retro-fitted to existing fleets. 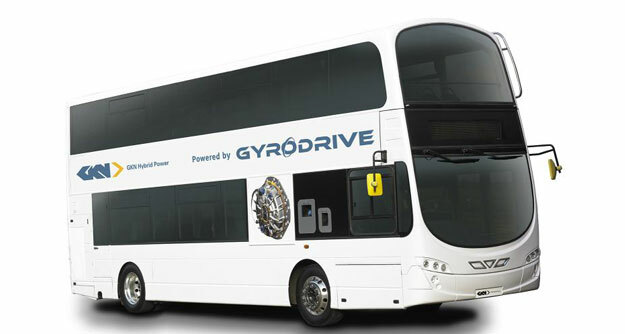 Gyrodrive uses a high-speed composite flywheel paired with an innovative GKN EVO electric motor to regenerate the energy normally lost during braking. When the driver brakes, a traction motor on one of the axles slows the vehicle and generates electricity simultaneously. The electricity charges the flywheel, spinning it at up to 36,000rpm. When the driver accelerates, Gyrodrive returns the energy to the wheels, boosting power, saving fuel and reducing emissions. The electric flywheel started life in motorsport. In June, GKN’s Gyrodrive system helped power Audi Motorsport’s hybrid race car to a third consecutive victory in the gruelling Le Mans 24 Hour endurance race. Gyrodrive will also help improve the efficiency of other commercial vehicles used in cities. Refuse and delivery truck applications are planned, so are agriculture and construction vehicles. Heavy vehicles with ‘stop-and-go’ or ‘back-and-forth’ duty cycles consume a lot of energy that Gyrodrive can recover and regenerate. In the longer term, as volumes increase and costs reduce, GKN expects Gyrodrive to be a viable option for mass-production vehicles. Oekom research reviewed 146 companies in this sector worldwide to assess their compliance with social and ecological stands in the areas of corporate governance and their value chain. The agency subsequently confirmed MAN´s above-average performance in terms of sustainable corporate governance. Its assessments are based on a twelve-grade scale ranging from A+ (top rating) to D-. Attaining a B- grade and “Prime” status, MAN secured a top place in the engineering sector. As a result, MAN qualifies for sustainable investment (SRI). Only the top 15% of all companies achieved Prime status. This positive assessment is largely due to successful implementation of MAN´s climate strategy, which aims to realize CO2 savings of 25% at its production sites by 2020. The company´s efficient product portfolio also played a major role. 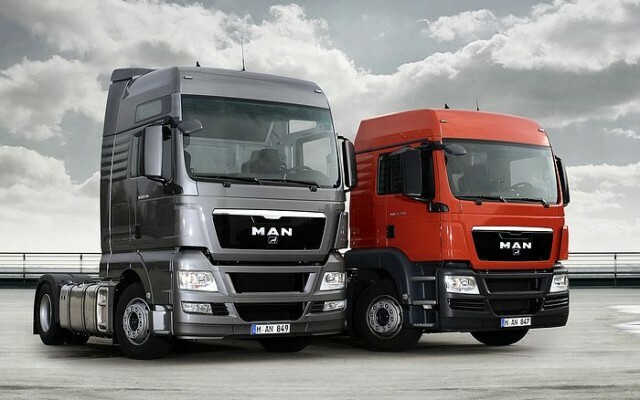 In this case, MAN was able to make an impact with its economic drivetrains, as well as successful developments in the sector of alternative fuels – resulting, for instance, from its gas strategy.